Twice-monthly community updates for the small desert town of Night Vale, featuring local weather, news, announcements from the Sheriff's Secret Police, mysterious lights in the night sky, dark hooded figures with unknowable powers, and cultural events. Turn on your radio and hide. 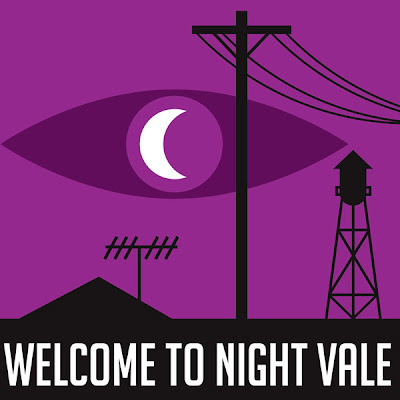 Welcome to Night Vale. This logo is the only confirmed visual we have for wtnv, so it's what I based my first design around. Wtnv goes out of its way to ensure we don't have set-in-stone visuals for any real aspects of the Night Vale community (including characters, settings, Desert Bluffs, etc.) so you're truly left to your imagination while you listen. Seriously, if you haven't clicked that link above to listen to this podcast, do it now. I'll even link it for you again here. 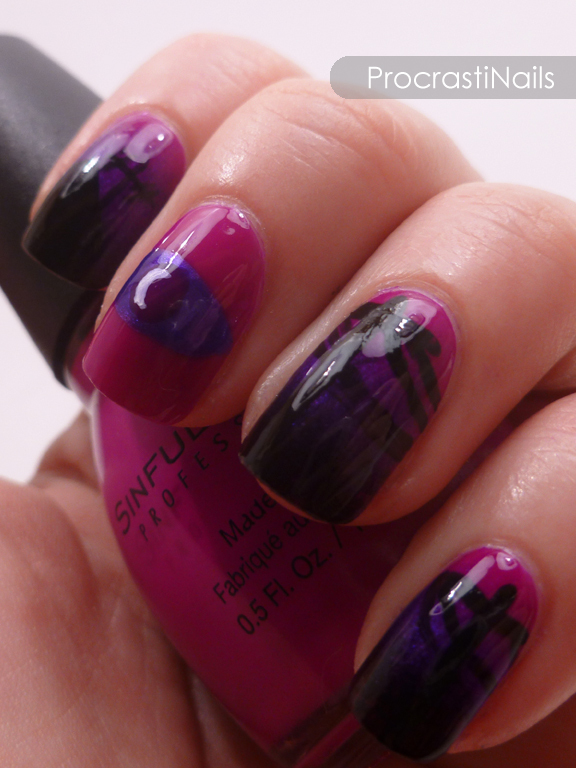 This design started with a gradient that went from Sinful Colors Dream On to Sinful Colors Let's Talk to Sinful Colors Black on Black. Once that was dry I used Black on Black and a small brush to paint the top of a house and some phone lines, as per the logo. 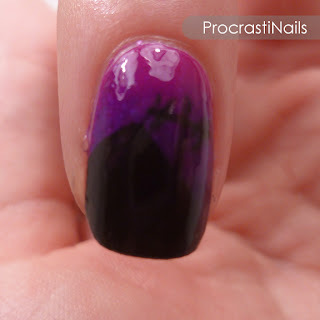 My accent nail is a base of Sinful Colors Dream On. When it was dry I drew the eye with Let's Talk, Dream On and White Acrylic Paint. 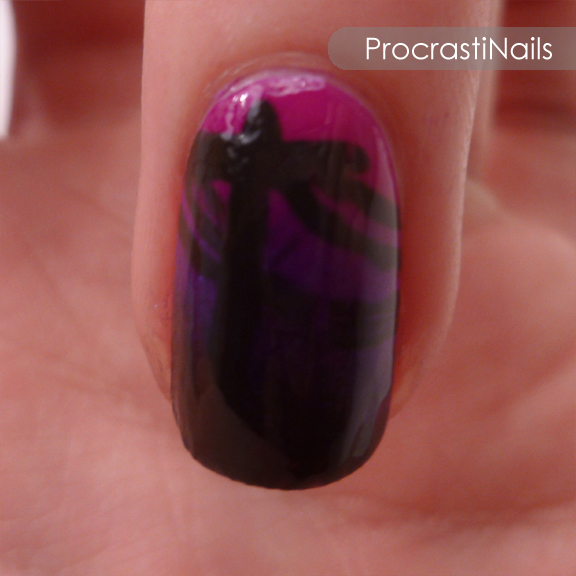 I also took some shots of the gradient + accent nail before I did the art on top of the gradient. Why? 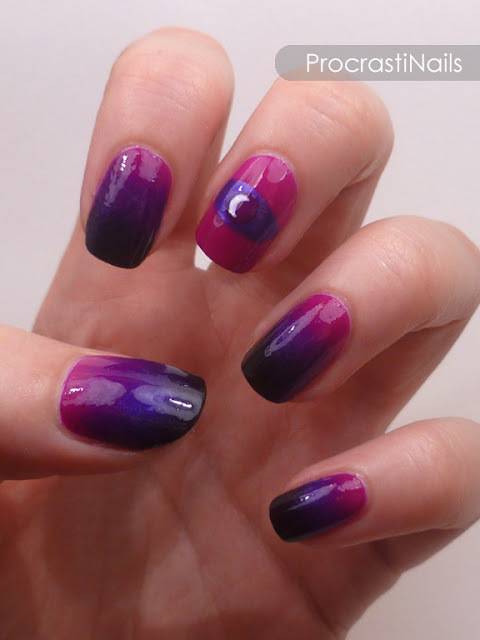 Because I wanted some plain shots of what is my favourite gradient to-date. Love it! 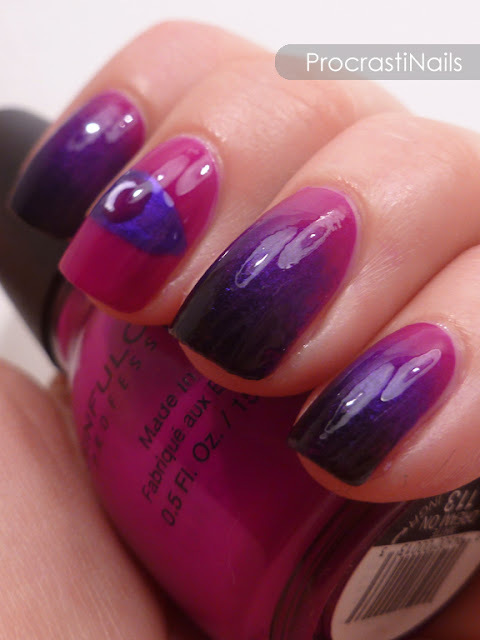 Look how gorgeous those colours are together! 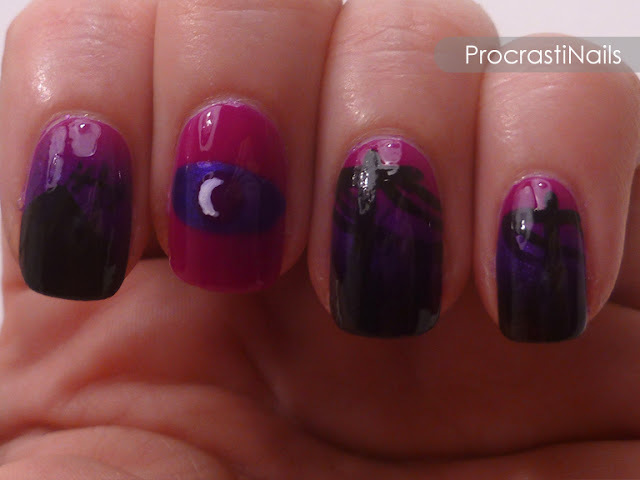 It's been a while since I did fandom nails, and even though I'm not 100% happy with these they're still pretty damn awesome. :) A lot of the fandom creations and art for wtnv have been amazing, so these are my own small contribution to the community. I hope you enjoy it! And thanks! 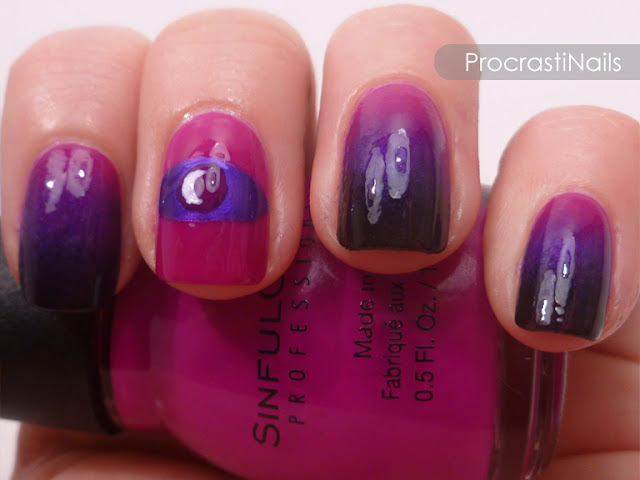 That was the original idea, though I wish I had taken some extra time to make the picture bits a bit better... Oh well. I LOVE THEM I LOVE THEM I LOVE THEM!!! I saw the title of this post and freaked out! I just moved into uni and am about to put up my WTNV fanart postcards so these nails definitely fit the mood! DIY Textured Chevron Decals in a Skittlette Mani!